Personal tracking devices for elderly seniors can provide certainty, safety, and security that can make the difficult road of memory-loss a little easier and less stressful for everyone involved. When it comes to senior safety the best GPS system for elderly drivers is a car tracking device that provides real-time locational information. This is because when a senior driver begins driving lost the consequences can literally be life-threatening. Every day there are news stories about elderly motorists becoming lost in areas that the senior driver should be familiar with. Some of these news stories only result in some short-term fear for the senior motorist’s loved one followed quickly by news that the elderly driver is safe. Sadly, there are also situations where a senior driver becomes lost, finds themselves in a precarious situation, and the end result is death. This is why it is so important to locate a lost senior driver quickly, and why the best GPS tracker for seniors is a real time GPS. Live Vehicle Location Updates As Fast As Every 3 Seconds! When it comes to the different real time GPS tracking devices for senior drivers there are a few different options for consumers to choose from. Probably the simplest live GPS tracking device for elderly motorists is a tracking system that plugs right into the On Board Diagnostic Port (OBDii) of the senior’s car. The reason this option is the best is because the car tracking system does not require any professional installation, can pull power from the vehicle so family members do not have to worry about battery-life, and of course the GPS tracker will provide real time updates on driving activity. This will make it easy for concerned family members to determine if an elderly driver is making poor decisions while operating a motor vehicle. Another popular GPS for elderly drivers is a portable real time GPS tracking solution. The advantage of portable car trackers is that they can be equipped onto a senior driver’s automobile with the elderly person knowing the tracking device is on their vehicle. This can be very helpful for seniors potentially battling Alzheimers’s or Dementia who might be strongly be opposed to having a GPS tracking system on their vehicle. The best part is that the portable tracking devices can easily be hidden on a senior’s car because these types of systems can be placed in a glovebox, under a seat, or even underneath the automobile! For family members concerned a hostile elderly driver might pull a GPS car tracking device out of the OBDii port or search for a portable elderly GPS tracking system somewhere else on the vehicle, the only other option is a hard-wired real time tracker. 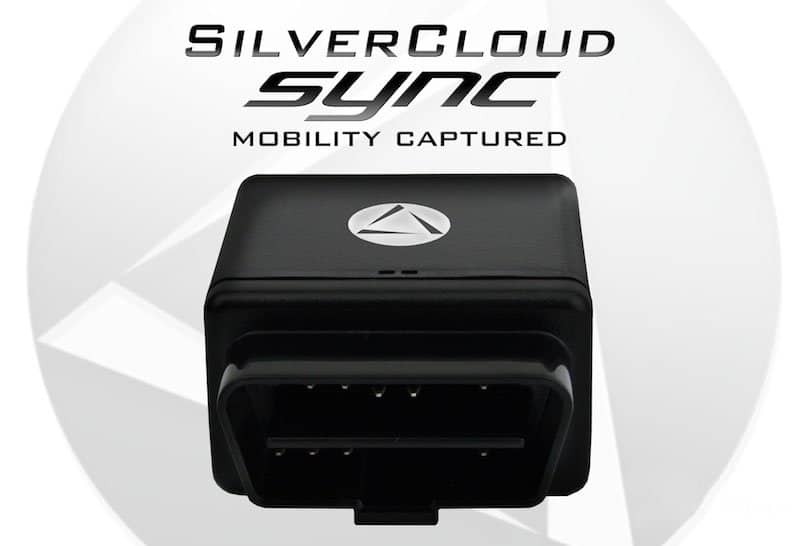 Hard-wired solution such as the SilverCloud GPS tracker can easily be installed by a local stereo installation business. Once connected to the 12-volt system of the elderly person’s vehicle and mounted inside the dashboard, concerned family members can simply go online and track the senior driver 24/7. The benefit of this type of real time tracking device is that it allows family members never to worry about battery-life of the GPS tracker, or an elderly driver locating the live GPS systems. The family members only need to go online from their smart phones or computers to see where an elderly driver is going! With a GPS elderly tracking device you will have the ability to watch Grandma or Grandpa’s mobility, verify they are staying in a particular area such as home or nursing facility, and all of that information can be accessed anytime because elderly tracking systems can function and operate on a continuous basis. Another beneficial feature that elderly GPS tracking systems have is the ability to set virtual boundaries, or what is known as a “Geo-fence”. When an elderly person enters or exits the virtual boundary set by family members an alert will be sent, informing family members that the GPS system has left the predetermined “safe” area. People suffering from Alzheimer’s disease frequently wander away or become lost, placing themselves and others in sometimes potentially dangerous situations. The situation can be even more frightening if the elderly person becomes lost in a foreign area or large city. GPS elderly tracking systems allow families to feel rest assured knowing that they will always be in touch with a family member or parent suffering from memory-related problems. Regardless if the GPS system application is for additional security or health-related situations, the technology provides relief and comfort to those worried about a parent or family member. Never again will stress and anxiety cultivate from a parent not answering a phone call, or if a doctor’s appointment is missed. Having the ability to receive alerts if a loved one enters or leaves a virtual-fenced area, and always having their location accessible by computer is how elderly GPS tracking systems are helping improve lives. Once the senior has agreed to wear the elderly GPS tracking bracelet the personal safety of that person increases instantly. The senior wears the GPS bracelet while continuing about their daily lives, while the elderly tracking system provides live GPS tracking updates for concerned family members. The family will be able to see in real time where a senior is at, be alerted by email/text message if they wander away from a home or senior community, and even be able to speak directly to that senior using two-way voice communication in a emergency situation. For example, if a senior begins to wander, family members can be alerted by text message or email when that elderly person walks outside a pre-set safe zone. The family can then call a number which will allow them to speak directly to that wandering senior through the senior GPS bracelet. The lost senior does not need to answer anything or push any buttons as the two-way voice communication option is activated automatically! From there, the family members can access live GPS tracking to quickly locate the elderly person and speak to them if they are incoherent, scared or confused. The GPS tracking bracelet for adults can literally save lives! The best place to purchase a GPS tracking device for elderly people is through a reputable GPS tracking dealer who has experience with products that focus on live GPS tracking technology and personal safety. This way the company can explain the benefits and drawbacks of elderly GPS trackers because there definitely are some shortcomings of elderly GPS tracking devices. Some of these things include reduced battery-life (senior GPS devices often only track 24-48 hours), a senior not wanting to wear the elderly tracking device (senior tries to remove tracker from wrist), or if a tracker is water-resistant NOT waterproof. A water-resistant senior GPS tracker would mean that an elderly person would have to avoid showering or swimming with the GPS tracking bracelet on. This is critical information consumers should be aware of and why they should ask the right questions before purchasing a GPS device for elderly persons. These GPS tracking experts can be found at online stores mores than traditional electronics stores. According to the statistics, the percentage of people with Alzheimer’s Disease across the globe is approximately 45 million with nearly 6 million of those people living inside the United States. The symptoms of this degenerative disease include things such as memory loss that disrupts daily life, confusion with time/life events, and general decline in cognitive patterns. Seniors battling memory-related declines can often forget where they live, where they are going, or simply become lost. This is why Dementia and Alzheimer’s disease can have dangerous consequences, making it critical for families worried their senior loved ones research GPS bracelets for Alzheimer patients. Whether it is GPS tracking bracelets or GPS tracking watches for Alzheimer’s patients, a personal GPS tracking solution can literally save an elderly person’s life. What’s even better is that Alzheimer’s personal locators have been designed to be light-weight, user-friendly and dare we say a little stylish! In fact, Alzheimer’s GPS tracking watches now come in a variety of different colors and styles, making the technology more popular among seniors with Dementia. For more information on Alzheimer’s Disease or other memory-loss illnesses please visit the Alzheimer’s Association or Family Doctor online.